I guarantee you won’t break a sweat while learning the Spanish alphabet. If you’re reading this, that means you have at least a passing mastery of one of the most foul writing systems ever wrought (wraht? rot?) on the world—that of the English language. So, reading and writing in Spanish is going to be a relative breeze. Spanish is written with the same 26 Latin letters as we use in the English alphabet, plus Ñ for a total of 27. So, What Makes the Spanish Alphabet So Easy? If you started learning Spanish a while ago, or you have an older textbook, you’ll have seen talk of 29 letters including ch and ll; these are longer considered individual letters by the Royal Spanish Academy. Some texts also exclude W and K, which are only used for foreign words in Spanish. In contrast to English, Spanish doesn’t have such a haphazard relationship between how words are spelled and how they’re pronounced. Except for a few exceptions (which are noted below as necessary) pronunciation is very regular in Spanish; there’s very nearly one sound for each letter and one letter for each sound. It’s certainly much easier to learn the Spanish alphabet than the English one! In elementary schools, Spanish-speaking children are intentionally given the task of spelling words that they’ll never, ever have heard before in order to test their abilities to apply Spanish’s nearly perfect spelling. The information in this post will give you, the learner of Spanish, that same superpower. I suggest reading through this and focusing on any letters that seem surprising or tricky; you can then practice with the suggestions in the last section. To hear pronunciations of the names of the letters and the words in context, you can check out this page for great audio of both the letters and example words (just note that in spite of what the introduction says, that page was not up-to-date at last check; the Spanish alphabet now has 27 letters). For the vowels, pay particular attention to the fact that Spanish vowels by themselves are single vowel sounds, whereas in English we tend to make comparable sounds into diphthongs (running two vowels together, see for example E below). The “official” names for the letters below are from the Royal Spanish Academy, which is attempting to standardize the names across all regions for the sake of communicative simplicity. Where there are other names that you’ll frequently hear, those are given here as well. The back open vowel is similar to the first vowel in “father”—or the first vowel in a Spanish word you probably already know, amigo (friend). At the beginning of a word, or after L, M or N, this letter sounds pretty much the same in Spanish as in English (like the B in “boy”), but a little less plosive (softer). In other situations it may sound a little bit closer to the English V, but not much. The Spanish B is pronounced exactly the same as the Spanish V—although occasionally some people, even native speakers, will claim otherwise. Linguists will tell you that they never make any difference in their actual speech patterns, however. The letter C presents just a couple of tricky issues. 1. Before I or E, it’s pronounced like the TH in the English “thing” in central and northern Spain. Elsewhere, it’s pronounced like the S in “Sarah” before these vowels. This distinction is called ceceo and also exists with the letter Z. 2. Before H, as in English, it becomes like the CH in “chunk.” Previously, this CH was itself considered a separate letter and indices and libraries were even organized as such. These are now considered two separate letters that simply combine to make this sound. 2. However, in other situations, this sounds like the TH in “this.” As you’re learning Spanish, you’ll particularly notice this second pronunciation in past participles ending in -ado and -ido. To get a sense of both D pronunciations at work, try listening to and saying the word dedo (finger): DAY-thow. This is a bit like the AY in the English “day,” but purer. It’s just one vowel sound. Also note that it’s always pronounced, unlike the English E that is silent that sits at the end of many words. Thus, the best thing that Mexicans have ever done to chocolate and to chicken, and to the world, is called mole and is pronounced MO-lay. This is the same as the English F. Consider it a total freebie. The Spanish G presents an issue similar to that of C.
1. Before I and E, it’s pronounced like our English H (the aspirated sound that starts the word “Harry”). 2. Otherwise, though, it sounds like the English G sound in “gag.” Thus we have gente (HAYN-tay, “people”) but also gato (GA-tow, “cat”). 3. An exception exists that is similar to English’s use of the umlaut. If you see a G followed by a Ü and then an I or an E, you should pronounce the English G as in “gag” followed by the vowels, so you end up with something like GWEE or GWAY for güi and güe, respectively. IPA pronunciation: none; this letter is silent! Except for when following a C (see above), this letter is always silent. Always! This seems very easy, but English speakers have a tendency to pronounce an aspirated H sound anyhow as they’re learning Spanish. Consider yourself very warned! This vowel is like the EE in “beep.” Only very rarely will you hear the I called by its corresponding old name i latina (the Latin I), to contrast it from Y, which has been frequently called i griega (the Greek Y; see below). This can vary regionally from the aspirated H sound like in the English “help,” to an H sound with a lot of hacking in the middle, which thankfully English doesn’t have, unless you count a Scotsman saying the last consonant/phlegm-expellant in loch. A Spanish example is joven (young), which you can hear pronounced by people from various countries here. The Spaniard goes much more for /x/; the North and South Americans go for /h/. Historically, the J was confused with the I for quite some time in the Latin alphabet, and was simply a flowery way to write the same sound. In Spanish, it can sound the same as a G that is followed by an I or an E.
This is only used in loanwords and foreign words, and the sound is the same as the English K but less aspirated, just like the third pronunciation of C above. This is pronounced quite similarly to the L in “Larry” but the point of contact of the tongue is slightly higher towards the roof of the mouth. This is the only letter in the Spanish alphabet that doesn’t exist in the English alphabet. Even if you haven’t studied Spanish at all, you’ve probably seen it and maybe even have a sense of how it’s pronounced: like the NY in the English “canyon.” Common examples in Spanish include niño (child) and baño (bath). This is pronounced like the English O in but a bit shorter, not made into a diphthong. Those who are purists for pronunciation might compare how Spanish speakers say the word no (same meaning) to our English version, and try to hit the Spanish version. But if not, don’t sweat it; you’ll obviously be understood just fine either way. This is similar to the English P as in “perfection,” but with less plosiveness. As is usually the case in English, the Spanish Q is always followed by the letter U and either E or I after (QUE and QUI are the only possible combinations for this letter), and it’s sound is a less-aspirated K.
The Spanish R is similar to the English R, but more in front, with a single trill. If you see a double RR (named erre), it gets a bit more trill. When you think you’re getting close, try comparing the single R to the double RR sounds by listening to the words pero (but) and perro (dog) at those links. Can you hear it, and make the distinction yourself? This is just a bit lighter and less plosive than the English T.
This vowel is similar to the OO in the English “food,” but a bit shorter. This is pronounced the same as the Spanish B, so see above for how to use it. To distinguish it from the B, you should spell it by using the most common uve or ve baja. This letter is not used in true Spanish words but rather in loanwords from languages like English or German. For example, the word whisky. It may also be spelled whiskey (as in English), wiski, and, in the hilarious and rather wishful recommendation of the official RAE dictionary: güisqui. The most common prononciation for this is /ks/, as in the word taxi (the same in Spanish and English). Note, however, the contrast of Mexico, in which the X maintains an outdated, similar sound to the Spanish J; it’s pronounced me-HEE-kow. This is most commonly called i griega (the Greek I), reflecting its original use in Spanish for loanwords from Greek. It’s now officially known as ye so as to fit in with the names of other Spanish consonants. As a consonant, it’s pronounced the same as a double LL (see above). One example is the very common ya (translates as “already,” among other things; it’s pronounced YAH). As a vowel, the Spanish Y sounds like the I (also see above), and is usually part of a diphthong, as in hay (there is, there are) and soy (I am). This is pronounced similarly to the first numbered pronunciation for C, above; meaning that it can change from an S to a lisped TH if you’re in central or northern Spain. The best way to practice the alphabet and spelling is to get lots of practice actually hearing and then writing in Spanish. You can always jump back to this post if you come across something that seems confusing, but in general you’ll find that the Spanish alphabet is one of the easiest and most pleasurable parts of learning the language. One thing that many learners do overlook and that is very important: Learn how to spell out your own first and last names! Unless your name is already something that Spanish-speakers know how to handle (like Ana or María) you’re going to be asked to spell it out for people. 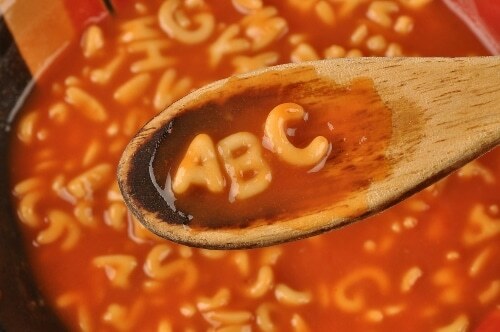 And, this happens to be a great way to practice the alphabet in a usable context. Other things to try that will be of use: spelling the names of your friends, of your hometown, your address, your email address and any other details that you think you might have to tell someone how to write down someday on the phone. Practice these with teachers or language exchange partners and make sure you really get them down, and check to see if they’ve understood you. If they haven’t, they might ask you, for example, ¿Se escribe con be alta o be baja? (Is it written with a B or a V?) You should now be able to answer. If you’ve gotten this far, you’re now a complete master of the Spanish alphabet—probably more so than any of us will ever be for the English alphabet. True language nerds with a good level of Spanish can read more about the Royal Spanish Academy’s plans for the alphabet here. But my recommendation is to just go and enjoy the relatively carefree spelling system. Spanish is going to throw a lot of crazy curve-balls at you in the learning process, but this isn’t one of them.